Working as a locum pharmacist is an ever- increasing popular career choice for pharmacy graduates with now more than 10,000 pharmacists acting in this role across the UK. Here at Locate a Locum we regularly recieve questions from pharmacists considering the career move. The most frequenly asked question is if working as a locum pharmacist is the right thing to do. This blog post helps to consider both the aspects of the advantages and disadvantages of working as a locum. What are the advantages of working as a locum pharmacist? Some of the obvious draws to working as a locum pharmacist include the ability to work when and where you want. By being able to set your own schedule and only take on shifts that fit the days you are willing to work, you will always be able to control the amount of free time you have while you are working as a locum in a pharmacy. Being able to claim expenses against taxes is another advantage for someone working as a locum pharmacist, given that an employee filing taxes does not have the same ability to deduct for every expense that impacts their working ability and environment. You will make more money at the outset, but you have to remember that part of that money must be set aside to cover your taxes and national insurance contributions which will still be mandatory. If you like to meet new people then being a locum pharmacist is a great way to do so, working in new teams and new areas, providing different types of prescriptions to different people. You will have an opportunity to learn more about the working environment of a pharmacist and the different variables that it might hold, since you will be working within more than one pharmacy and within different types of standard operating procedures. This will help you to develop an overall knowledge of the business which could be invaluable to your career development. Sometimes the fact that you are not part of the team atmosphere is a disadvantage for locum pharmacists, but it really depends on the type of person the locum is and if being part of an established team is important for them. It is clinical in the way the contracts start and finish, with the need to leave new friends which you might have made at the pharmacy and be open to starting again ongoing. This can be difficult for maintaining working relationships if that is something which is important to you. A locum pharmacist has to be willing to start again in a new environment as many times as is required to fulfil the contracts that they gain, so forging ongoing relationships would not be a the forefront of your plans. Learning new sets of standard operating procedures can be difficult for some people and is a must for any locum pharmacist. The ability to take on a new procedure and learn quickly is paramount for any good locum, and it is important to be able to quickly gauge the requirements of the new contract and abide by them. The best reason to work as a locum pharmacist is to maintain the self-autonomy over your career – deciding where you work, when and for what rate of pay. 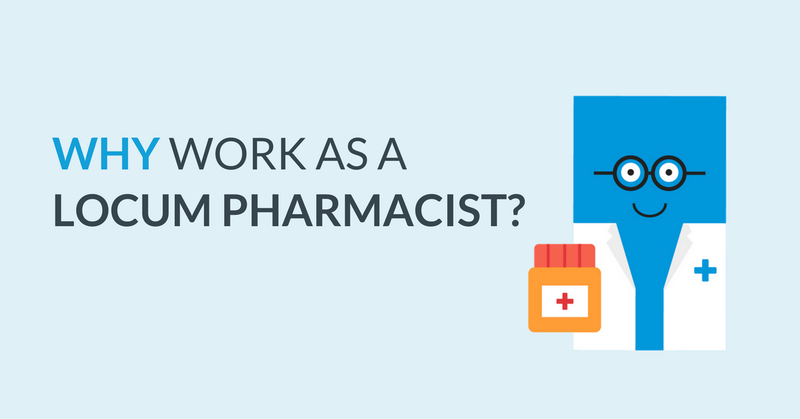 There are requirements for the role that might not fit you as a person, but if they do, then working as a locum pharmacist can be an excellent career option.